Distributor: Warner Bros. Entertainment Inc. 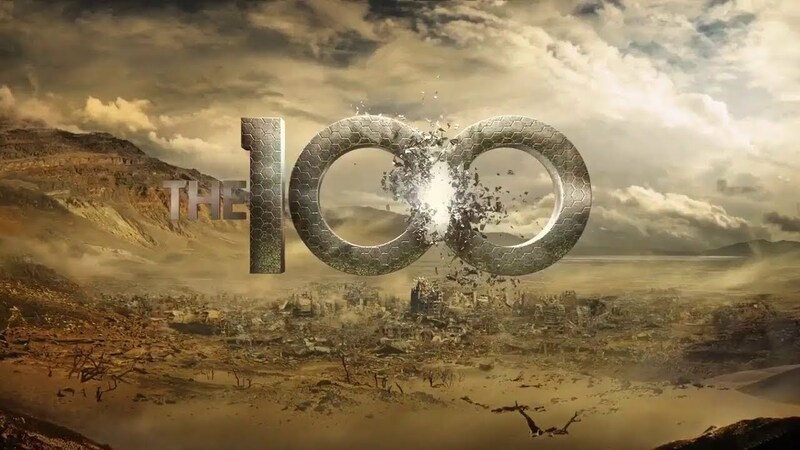 The 100 is one of those series that gained a reasonable amount of popularity, especially amongst teenage viewers and young adults. The series has already been stretched out to five seasons, of which we received the fifth season physically, and while the series has scored quite well on our site, we believe that the series should soon start thinking of a final season. Nonetheless, once more we return to Earth, that has been destroyed by ‘Praimfaya’, forcing the survivors to go into hiding in the bunker that lies beneath Polis. Of course, as we saw in the conclusion of Season 4, there wasn’t room for everyone, and some of the main characters went back to space to the station they came from, with Clarke being abandoned to face the storm that would destroy pretty much everything. Between the 4th and the 5th season almost six years have gone by. The world is recovering from the Praimfaya and it should have been time for the people from the bunker to resurface and build new settlements. Sadly, the city of Polis has crumbled on top of the bunker, barring the only exit, forcing the survivors to stay inside longer. 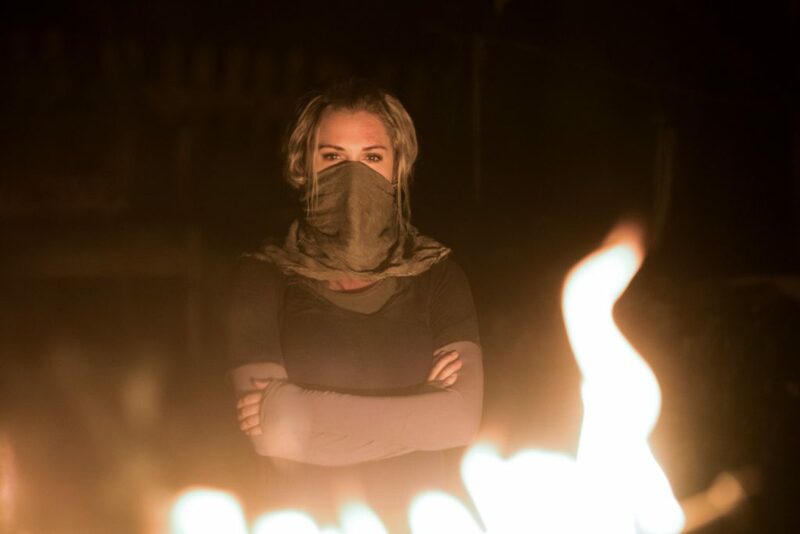 Clarke (Eliza Taylor) has tried to clear the rubble, but it is too much for her to clear on her own, without any machinery to help her. 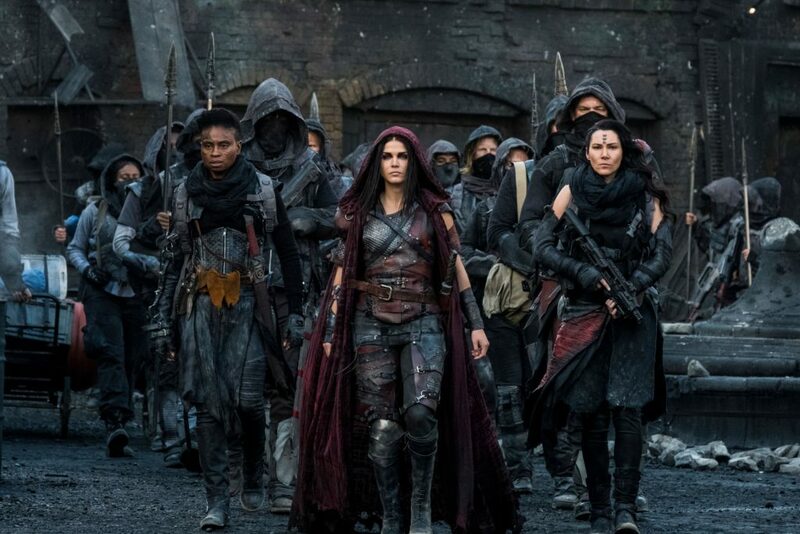 She has found a new tiny ‘Eden’ for her to live in, together with Madi (Lola Flanery), a young ‘nightblood’ who survived because of her resistance to the Praimfaya. Their world gets turned upside down when a spaceship lands, and it aren’t Clarke’s friends who are returning from the space station. In the bunker things have taken a turn for the worse, as there hasn’t been enough food to feed all inhabitants properly, and crimes are being punished with deathmatch-styled trials, where several criminals take up arms against one another, only allowing the survivor to be redeemed and return to society. It’s clear that the bunker has to be opened soon, or there won’t be many survivors left to represent the human race on the shattered planet. The flow is pretty much like it was during the previous seasons, where problems are being tackled one at a time, while new problems constantly seem to come up. The cliffhanger of this season is a bit underwhelming though, as you know the big secret right off the bat, if you’re not completely dimwitted. It’s quite easy to piece the puzzle together when you put a big crowd of people in a bunker, with a limited amount of resources for a time that’s longer than said resources last. Sadly, the creators think their viewers are complete idiots, as they build up to this ‘secret’ for more than half the season. Other than that, the series remains the same, a lot of battles occur, people die, a lot of drama is to be found and there are of course the necessary love interests to swoon the female audience of the series. While it was already clear in the past that this show mainly attracted a female teenage audience, it has never been as clear as it was during the fifth season. That being said, if you stuck with the series for this long, you’ll certainly enjoy how this season unfolds. We have to say though, that the fifth season is less qualitative than all the other ones. Not much has changed in terms of acting performances when it comes to the characters of the previous seasons. By now you already know that some cast members did not make the cut to be part of the fifth season, and everyone has gone through new hardships, slightly altering their personas onscreen. The cast has proven to be rather versatile in the past, and they are still quite good at it. In terms of new faces, there are a few that will pop up several times, such as Ivana Milicevic who plays the stern Charmaine Diyoza, and her associate, the brutal murderer McCreary, who is played by William Miller. There are a few extra recurring characters to be found on that came with spaceship, and even the smaller roles feel decently fleshed out. The extras on the DVD edition of the fifth season of The 100 are rather limited. You’ll get a small gag reel, some insights about the fifth season, and the Wondercon panel of 2018, where a few of the cast members come and talk about the show. Other than that there’s nothing special to be found on the physical copy of season 5. There could have been a bit more about the prisoners, or perhaps where they came from, rather than some basic special features. 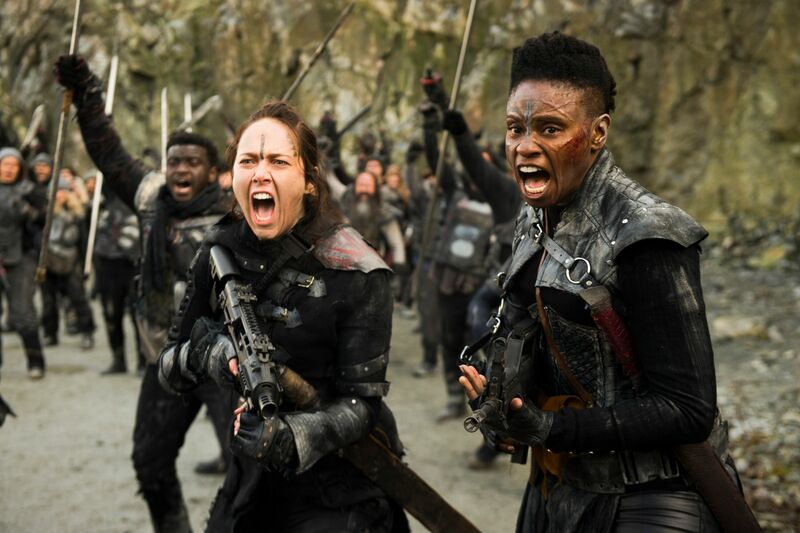 The fifth season of The 100 is not bad, but it just feels like the shtick of the season wasn’t fully thought through, making the big secret very bland and predictable. Other than that, there are still enough intertwining love plots, interesting developments, characters to hate and enough murder and decay to go around, all conveniently wrapped in a PG-13 jacket. If you liked the previous seasons, you’ll still fancy what is going on, but we hope the sixth will slowly be the last.